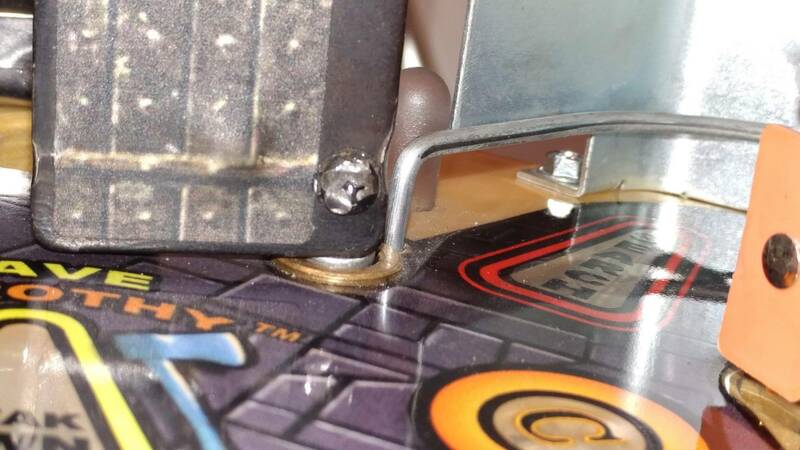 » Forum » Game manufacturers » Jersey Jack Pinball » Help identifying this screw type on my WOZ? » Help identifying this screw type on my WOZ? Help identifying this screw type on my WOZ? What kind of screw head is this? Do I need a special driver? I *guess* that is just from the ball bashing it? The door also has some wear in the same spot, it's all dented in. I sliced a groove in the screw with my dremel and was able to get it out and re-use it. Maybe I can, seriously, just order the screws? And I just placed an order too. At least in that order I got the witch motor and the door motor which solved those two issues, so the game is going back together! Used to be a phillips head screw. Check the manual for the door mechanism drawings to get size. I'd cut a slot in it and tru and unscrew with a flat head screw driver. Yeah, that's what I did with the slot. Thanks... guess I'll try to source that... no promises, I'll probably forget. Try looking at MSC or McMaster Carr for the screw. The screw is soft steel and the teeth dig in really well if you hold the screw close to the door tightly and use firm constant pressure. I have replaced 6 right door motors on my castle playfield and each time there was no way to use a screwdriver. I tried carefully cutting a slot but the steel is so soft it doesnt hold the tool well enough. I got the little pliers at home depot on a hunch they would work. When you order door motors from JJP, also get a couple door posts and a dozen of the door screws with lock washers, as well as the allen screws for the motor shaft. I have had the allen screws heads pop off when removing the motors, its a very tight place to try to apply heat on the loctite. Its too much trouble extracting the screw, so just put on a new post. I use these little pliers all the time. They work well for tightening troll head screws etc. or any time I cant reach a screw or a nut with a regular nut driver. The key to this tool is the super hard black steel, thin profile and very sharp teeth. Exactly what is needed here. So, grab a pair at home depot if they still have them. I sliced a line in my screw and got it out (and reused it.. up top). I just had to replace one of the motors... didn't see an issue with the door shafts, what would happen to those? Same with the allen screws.. came out fine and doesn't seem to be a need to replace them. And why so many motors?! pinballgoddess at work here, its her favorite game. A lot of the games are 10 ball games from what the audits show. I change the balls every 350 plays and wax the playfield, replace any shredded rubber. One odd repair was a screw head popped off on a right castle door one day, but it came out with my little pliers and I didnt have to pull the playfield out lol. This being said, The game looks like new and plays like new! JJP games are built like tanks. 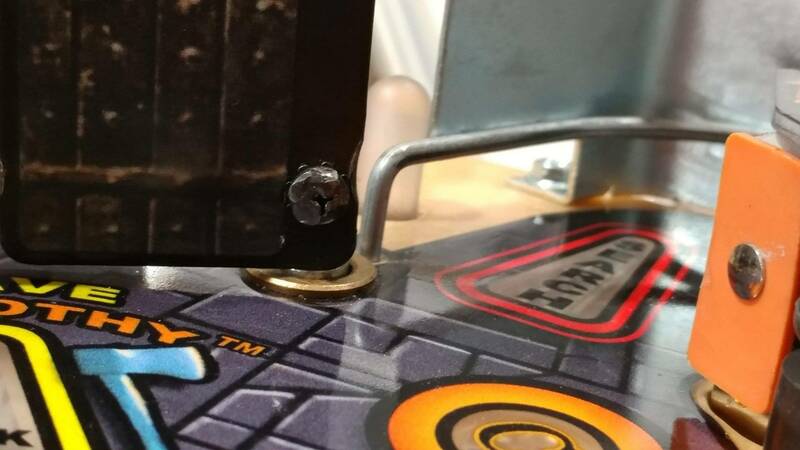 The key is in the maintenance, And like Vid1900 constantly says: WAX the playfield regularly, It will last forever.